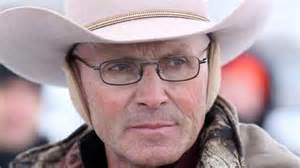 LaVoy Finicum - Patriot R.I.P. Today activism is a red flag of dissatisfaction in a system of government gone dangerously wrong. We are presently witnessing Governance that has seriously overreached the power it is supposed to exercise in the name of We The People. Regardless of whether you are right or wrong, judgment is being passed on you by those who do not have that right, and consequences prescribed before your first activist post or action gets cold. The weeks-long peaceful occupation of a federal wildlife refuge headquarters in Oregon suffered two major blows when protest leader Ammon Bundy was arrested and LaVoy Finicum was killed. LaVoy and several fellow occupiers were pulled over on U.S. Highway 395 while headed to the city of John Day, where they were scheduled to have a meeting with the local Sheriff. In what can only be considered a preplanned ambush, shots were fired. Ryan Bundy was wounded, and LaVoy Finicum was fatally shot while trying to surrender and draw attention away from the vehicle containing his compatriots. 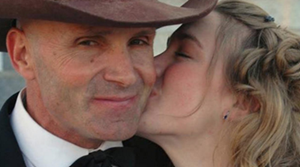 It can only be said by observing all the evidence, that LaVoy gave less importance for his own life than he obviously did for the lives of those in the vehicle … Yes he was a Patriot … but in his last few minutes of life, he was obviously heroic as well! Is this because he was seen as a threat to the puppet masters? Was this because his activism was a call to action for Americas to wake up to a government becoming more tyrannical as time advances? Or was this perpetrated because a precedent needed to be set showing the American people the consequences of exercising their freedoms and unalienable rights? In my estimation the answer to all three questions above is a resounding “YES”, and that does not bode well for We The People. For more information on this topic please read some of the many great related articles by Cathy Geibel here. Trials in U.S. District Court in Portland, OR. are now under way for the participants of the Wildlife Refuse Occupation that were arrested and have not accepted a plea deal. Among them are Ammon and Ryan Bundy. Just 25 people, including friends and family of the defendants, will be able to watch the trial publicly. That means most of the media and other observers will be watching a live stream of proceedings from a nearby courtroom. No photography or recording is allowed. There are still many questions we want answered about the nonsensical murder of LaVoy Finicum, so what follows is a video released by Gavin Seim of callmegav.com explaining some of the details we are all needing to know much more about. Please watch it and share. 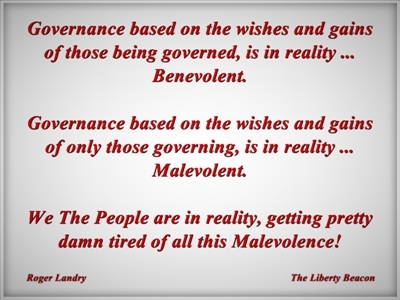 LaVoy Finicum … Patriot, R.I.P. This was given to me by an Anonymous source to make public. Big thanks to them. This is why they are not letting evidence about LaVoy’s death in the Bundy trials. Also watch: The Foam Bullet Used to Justify Killing LaVoy Finicum. While anyone who watched the original videos know LaVoy was murdered, as have been like many others by our police. This is filled with detailed forensic information that proves how deep the conspiracy went. NOTE: I am unsure about the theory on Payne. We don’t know that he was a plant and will withhold decision on that at this time. 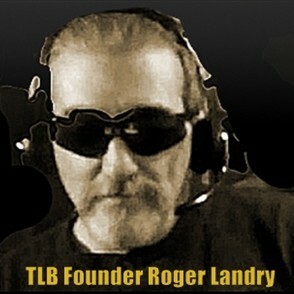 This proves that levoy was ambushed and murdered by the FBI. WHO ORDERED HIS ASSINATION? I WANT ANSWERS. THE FBI IS SO CORRUPT AND THE ARM OF THE GOVERNMENT GESTAPO.